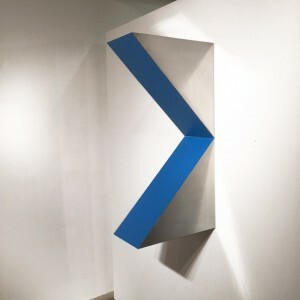 Abstracted wall mounted sculpture supplements any existing art collection through the addition of light play, color and three-dimensional space. 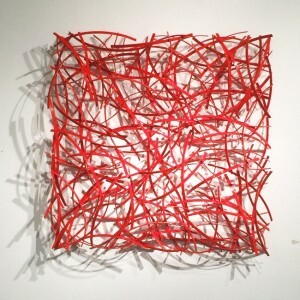 Adding a form or object that casts shadows, compliments the other artwork in color can enhance an existing realistic or abstract painting or photograph. This session will looks at how 3-D art can function for you, by examining the works of Matt Devine and Arno Kortschot. If the sculpture is geometric set next to a realistic image, for instance, the difference in aesthetics and subject allows each art work to maintain it’s integrity and actually compliment each through the contrast established. The shadow play of the sculpture defines it’s space on the wall and the color provides another level of aesthetics that acts much like a photograph or painting but portrays a sense of solidity and movement a sculptural form can only provide. Although sometimes difficult to position a photograph next to a painting, the wall mounted abstract sculpture provides a natural division of art works allowing for a play of balance and individuality of the art works displayed together. This session will looks at how 3-D art can function for you, by examining the works of Matt Devine and Arno Kortschot. 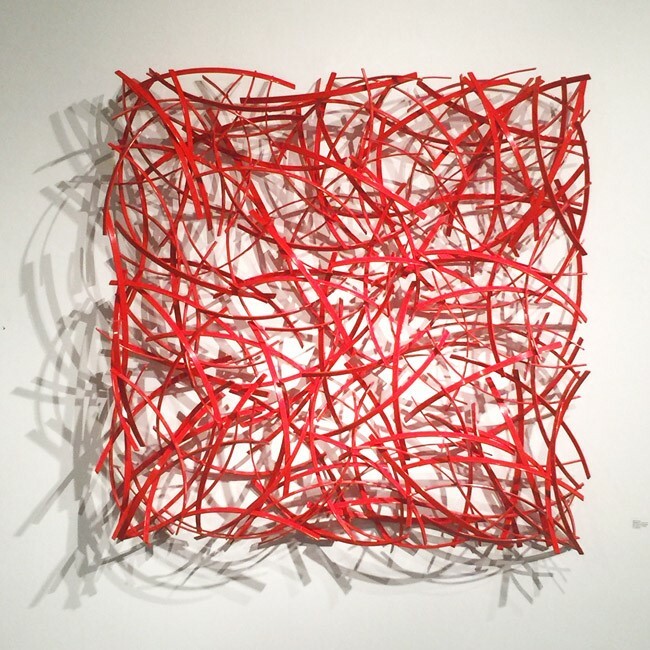 Matt Devine – Middletown, 38 x 38 x 6 inches – classic “S” curve rotated and turned over, welded steel. Vibrant movement but contained in a geometric form, acting much like a painting, but is a form entirely different to one. Learn more about Matt Devine here. 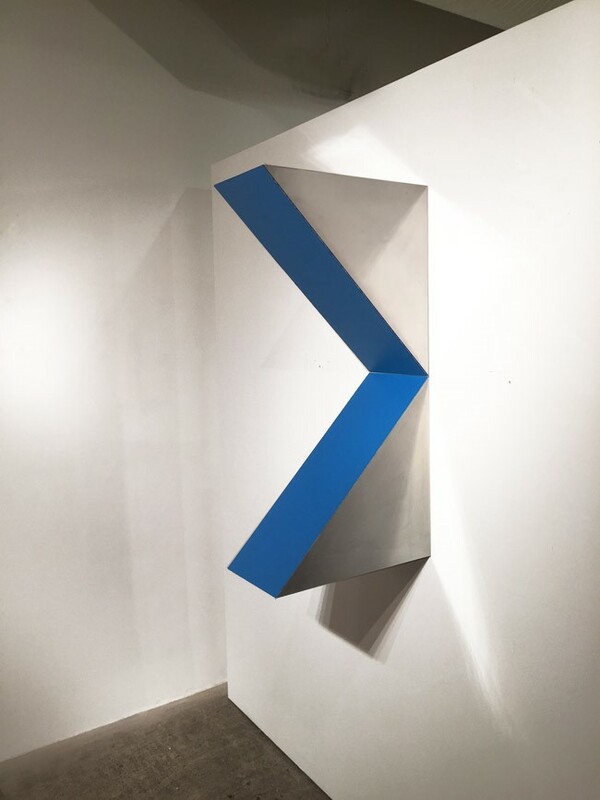 Arno Kortschot –“Inward Triangle” 39 x 10 x 19 inches zinc, panel , acrylic paint. This composition, with it’s pointed edges and strong geometric form next to a painting with horizontal lines, or circles or other geometric elements, that are not the main composition, enhance each other. Vertical next to horizontal is a great contrast. 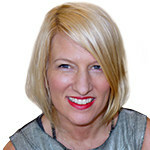 Jennifer Kostuik has a BAH Art History Degree and has owned Kostuik Gallery since 1997. She is a Canadian citizen with an American childhood.